What Happens to Us When Robots Fight Our Wars? In December 2017, the third Future Ground Combat Vehicles Summit took place in Detroit, Michigan. The program featured an assortment of unmanned ground vehicles, ranging from robotic mine flails to vehicles that could one day carry electromagnetic railguns — all which promise to revolutionize the way we wage war. But war-winning robots could prove detrimental to the societies for whom they fight. The relationship between a military and the state it serves is complex and multi-faceted. While the primary purpose of a military is to defend the state and protect its interests abroad, there are a range of non-combat roles that are often just as vital to the integrity and unity of the state. In many cases the military is a country’s largest national institution, providing a flesh and steel manifestation of power and authority whose legitimacy derives from the populations within the state it serves. It acts as a social agent, imbibing recruits with certain values, integrating disparate communities and signalling the inclusion, or exclusion, of particular demographic elements within society. In some states, such as Bosnia and Herzegovina or Lebanon, the military may be one of the only institutions in a country that can bridge divisions that have become entrenched by conflict, providing a vital pillar of unity and stability in an otherwise fractured society. Furthermore, the military, through its actions in war, serves as the main generator of myths in a society, providing the raw material for tales of heroism and sacrifice to be woven into the national narrative, underscoring stereotypes and offering populations a totem to rally behind in difficult times, all of which inform our notions of national identity. John Hutchinson, discussing Smith’s work, noted that warfare provides heroes and epochal events that offer “role models and reference points especially when taken up by poets, artists and writers who embed these in the collective consciousness.” The military then serves to reiterate and reinforce messages of national unity and strength through the ceremonies, parades and rituals — often focused on collective sacrifice and the fallen soldier — in which it’s the central actor. This relationship between the state and its military can be traced back to the emergence of states themselves, and whilst the strategy and technology of war has developed dramatically over the centuries, this relationship has remained essentially the same. The state offers legitimacy, prestige and privilege, and in return the military offers authority, power and a means to unify the populations within the state. Developments on the 21st-century battlefield, however, threaten to disrupt this dynamic. Technological breakthroughs, diminishing tolerance for casualties, and the evolving nature of war has brought humanity to the precipice of the greatest revolution in military affairs since the advent of atomic weapons. Robot soldiers are no longer characters from science fiction, nor are they abstract concepts in the early stages of research and development, but a clear and visible presence in modern warfare. 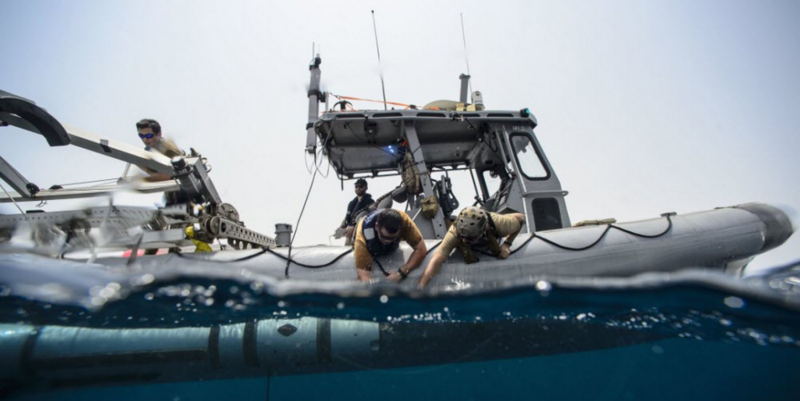 The U.S. military has deployed thousands of robots in Iraq and Afghanistan. More than a thousand of them have been destroyed in combat. Eighty-six countries and a number of non-state actors possess military robotic programs. Microsoft founder Bill Gates argued in 2008 that the robotics industry had reached the stage that the computer industry was in the 1980s, and soon robots would be found in every home. Much of the debate regarding the development of robot soldiers thus far has focused on the ethical implications of using machines to kill humans, how best to govern our newest tools of war and whether we can even “trust” them. The Campaign to Stop Killer Robots has warned of the dangers of autonomous robotic soldiers since 2013, and in 2017 an open letter from the world’s leading pioneers in robotics and artificial intelligence called on the United Nations to ban the development and use of autonomous weapons systems. However, plans to expand the United States’ commitment to robot soldiers as an economical way to maintain military superiority, coupled with the proliferation of military robotic technology to terrorist groups, drug cartels and paramilitaries, surely means the age of the robot soldier is upon us. What impact could robot soldiers have on the relationship between the military and the state? Two hypotheses offer remarkable, and contrasting, visions for the future … and raise some profound questions. Replacing human soldiers with robots will have a significant impact on the role which a military fullfils within a society. Fewer human soldiers in a military will lessen its ability to act as a social agent, as it simply has contact with fewer people and, additionally, the legitimacy of a military which doesn’t reflect the society it defends could be brought into question. Notions of the nation earning glory and triumph through pulling together, supporting the troops and paying the price of that victory in blood would become outdated. As the association between a flag and service and sacrifice in its name become increasingly distant, what would that flag mean? In an age of pervasive non-state identities, globalized culture and trade and unprecedented migration, the idea of national identity is already fragile. The dawn of the robot soldier could lead to the fabric of what remains of national identity unraveling, leaving states as hollow institutions attempting to enforce governance over disparate communities with differing, sometimes irreconcilable, ideas on what society should look like – a reality already evident in the most unstable areas of the world. Ground-breaking research by Julie Carpenter offers an alternative vision for the impact that robot soldiers could have on the relationship between the military and the state. Her seminal book Culture and Human-Robot Interaction in Militarized Spaces: A War Story is an extensive account of the relationships that have developed between Explosive Ordnance Disposal teams in the U.S. military and their robot comrades in arms. Carpenter noted how it had become common for soldiers to name their robots, assign them human or animal-like attributes, including gender, and display empathy toward the machines. Upon losing a robot soldier, personnel would sometimes write letters to its manufacturer, noting its bravery and sacrifice. Some robots have even received funerals after being destroyed. 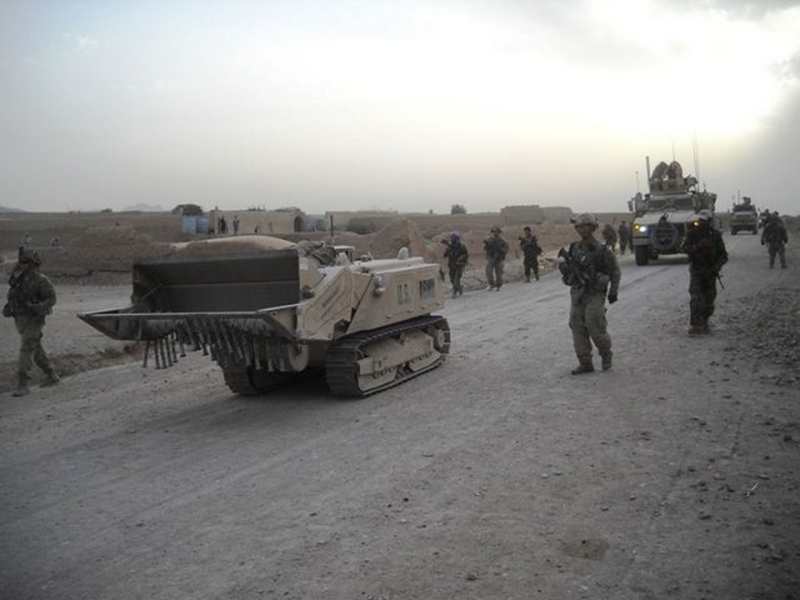 Boomer, a MARCbot designed for disarming explosives, was lost on the battlefield in Taji, Iraq. His brothers-in-arms gave him a funeral complete with a 21-gun salute and awarded him a Purple Heart and a Bronze Star. If soldiers on the front lines can develop such attachments to robot soldiers, why would a nation fail to do so? Robot soldiers could, if anthropomorphized and celebrated by poets, artists and writers, provide the same tales of heroism and sacrifice, the raw materials of a national narrative, that our human soldiers have done thus far. In such a scenario, robot soldiers pose little threat to the state, however more profound questions are raised: Are we, as humans, able simultaneously to dehumanize our human enemies whilst humanizing the machines we send to kill them? If so, what are the wider implications for future human-robot interactions and what place will robot soldiers be given in our societies?